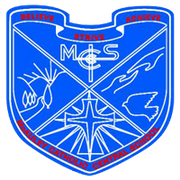 McAuley Catholic Central School welcomes those who support the values of a Catholic Education for their child. We invite you to make an appointment to visit the classrooms and meet the staff and students of our caring School community. All prospective enrolments need to attend an interview with the Principal after the lodgement of their application form. When parents enrol their children at McAuley it is expected that they will support the policies of the School and their children remain at the school through to the completion of Year 10. We have a dedicated Learning Support Teacher who works across both campuses to liaise with classroom teachers to support students who have language and/or leaning difficulties. Both the Learning Support Teacher and the classroom teacher plan accelerated programs for gifted students and liaise with parents on a regular basis.